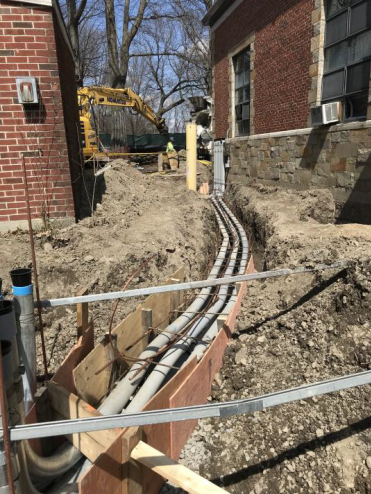 and serves portions of Arlington, Belmont, Cambridge, Medford and Somerville. 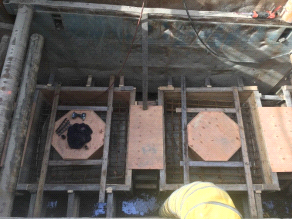 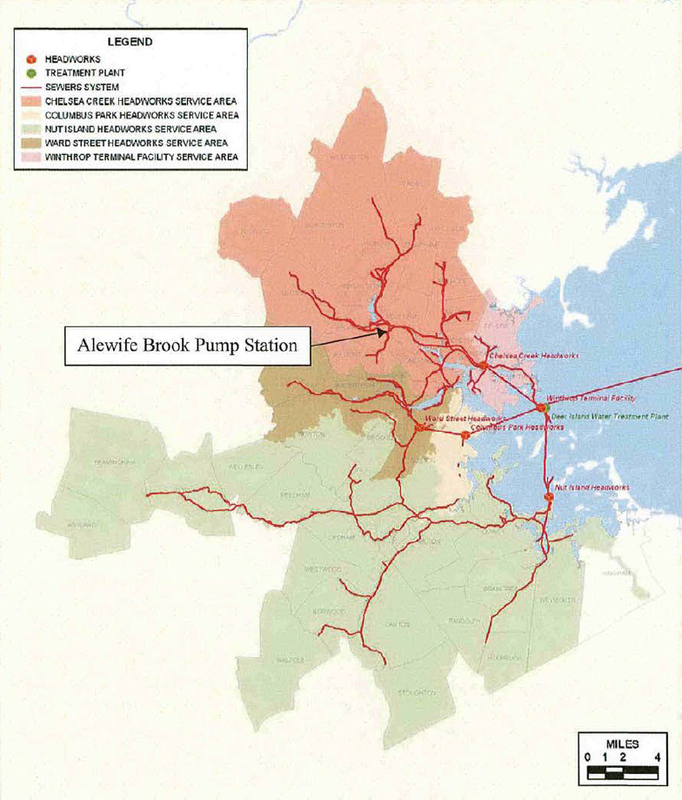 The Alewife Brook Pump Station Rehabilitation Project (MWRA Contract 6797) will improve the operating capacity and reliability of a sewer station that pumps wastewater flows from Arlington, Belmont, Cambridge, Medford and Somerville through the North Metropolitan and North Metropolitan Relief Sewers toward the Deer Island Treatment Plant. 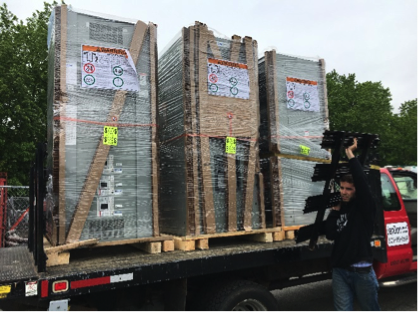 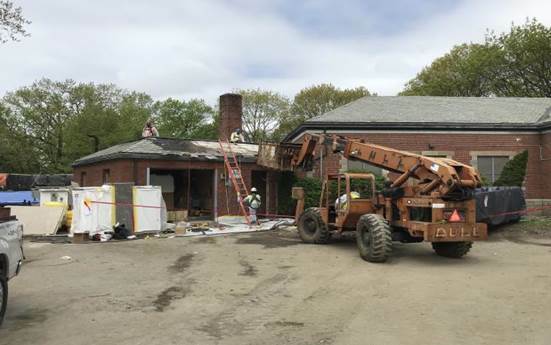 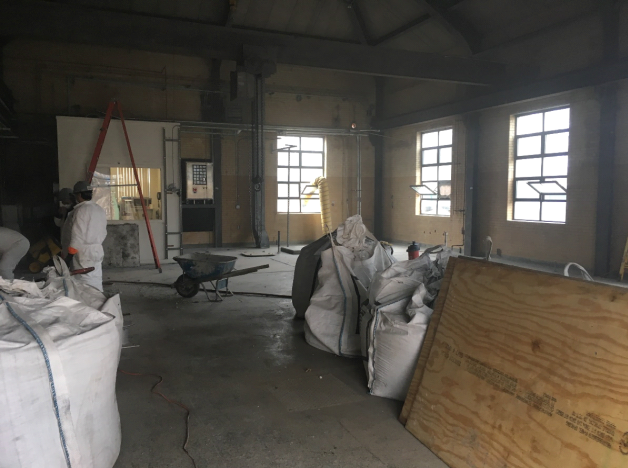 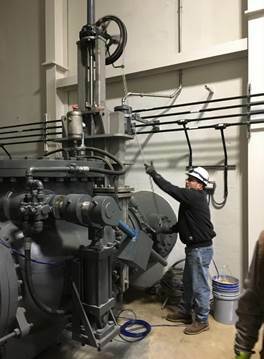 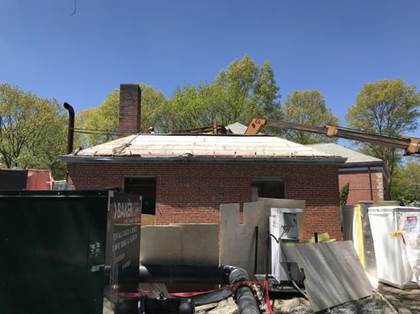 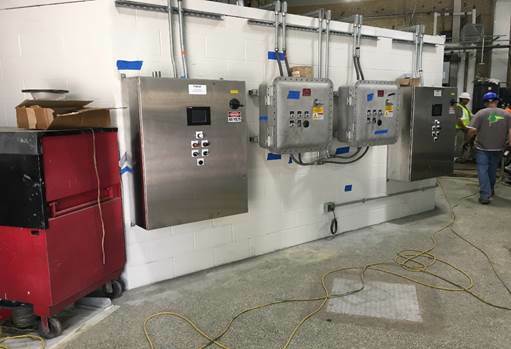 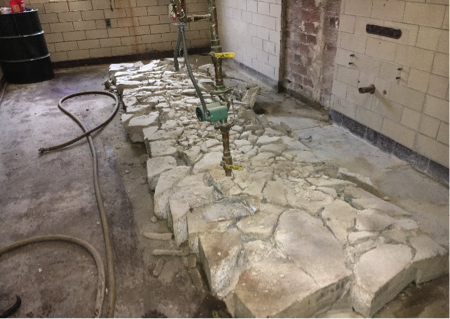 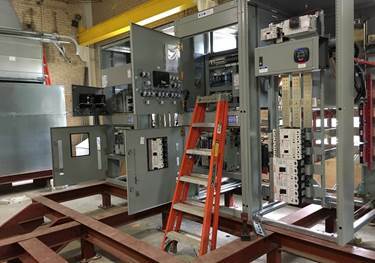 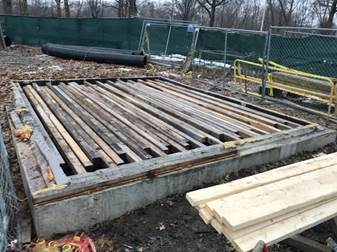 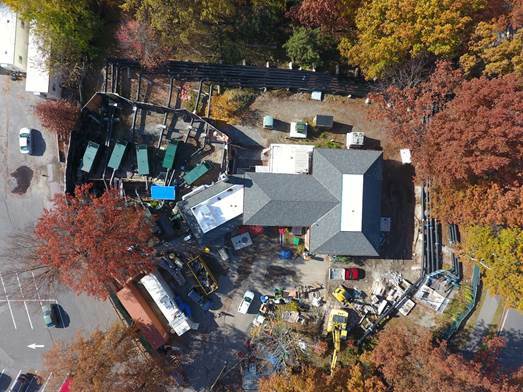 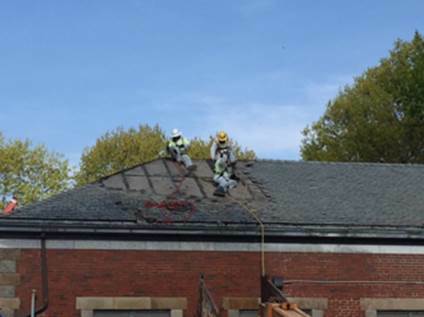 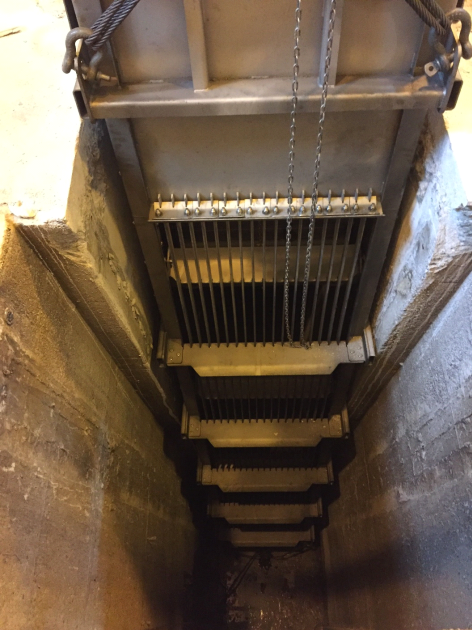 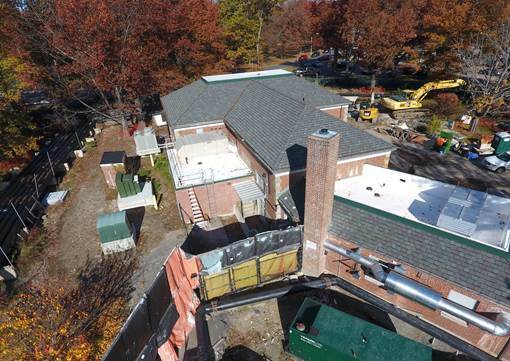 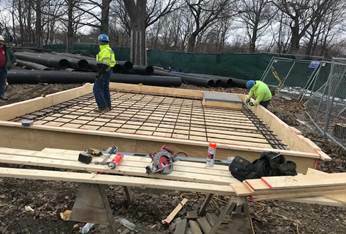 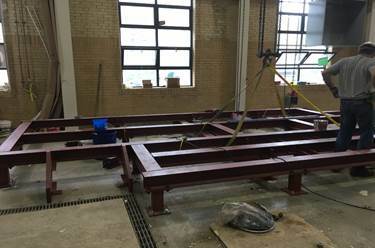 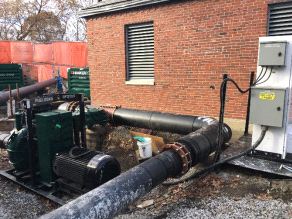 The rehabilitation of the Alewife Brook Pump Station is the first MWRA project to incorporate new measures to protect equipment and facilities from the affects of potential climate change. 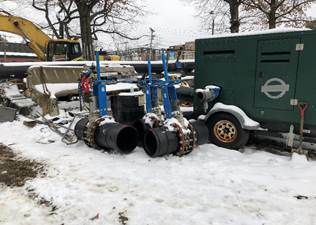 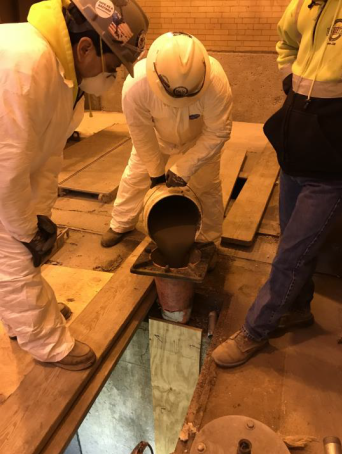 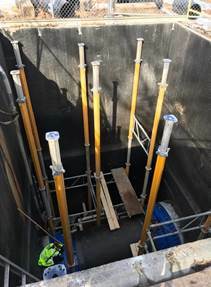 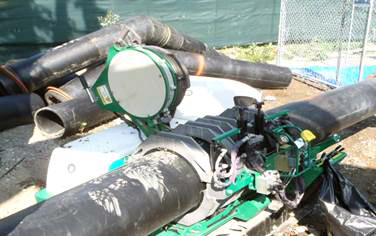 This project is important step in MWRA's long-term efforts to protect the sewer system's overall ability to operate during wet weather events and to recover from them. 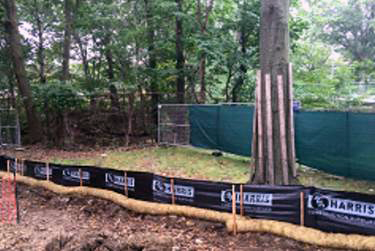 protection for a potential 2.5-foot surge above the 100-year flood elevation. 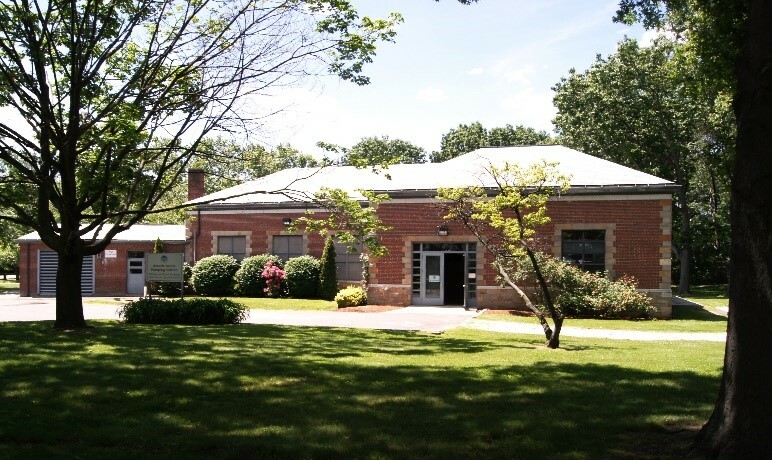 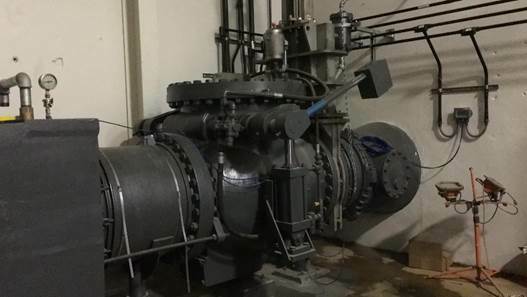 Under MWRA Contract 6797, MWRA's contractor, Barletta Engineering Corporation, will make major operational and structural improvements to the Alewife Brook Pump Station. 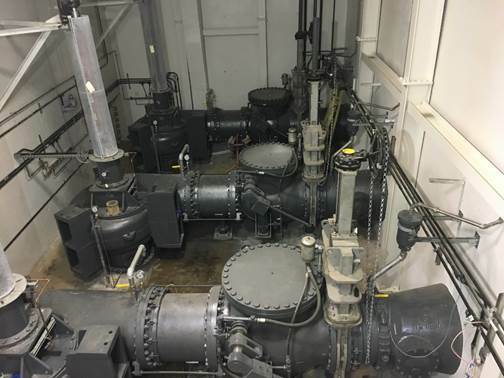 Existing sewer pumps, original to the 1951 station, no longer operate with as-designed efficiency. 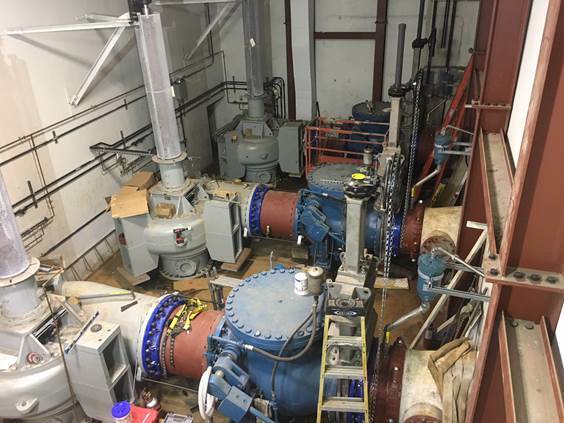 They will be replaced by two, higher-capacity wet-weather pumps and a dry-weather pump, with a third wet-weather pump available for standby use. 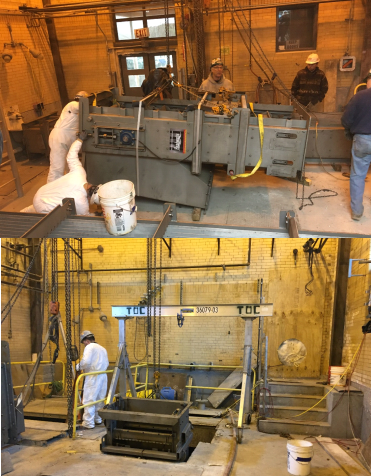 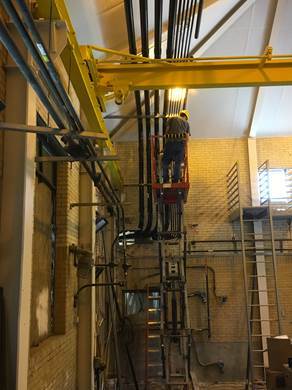 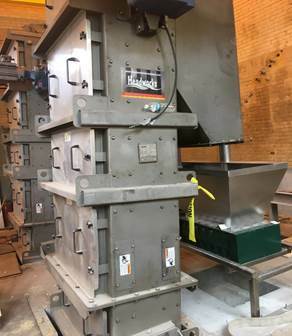 Other operational improvements include the replacement of motors, gear drives, controls, screens, sluice gates and generators. 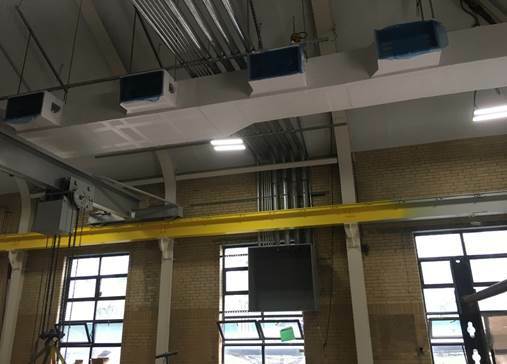 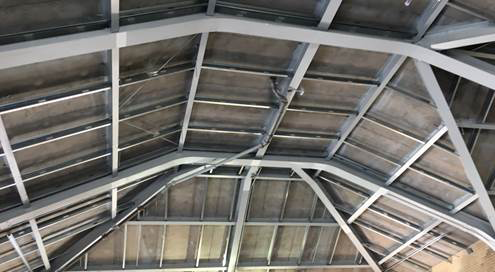 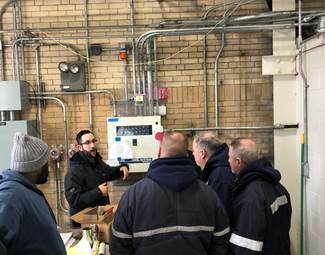 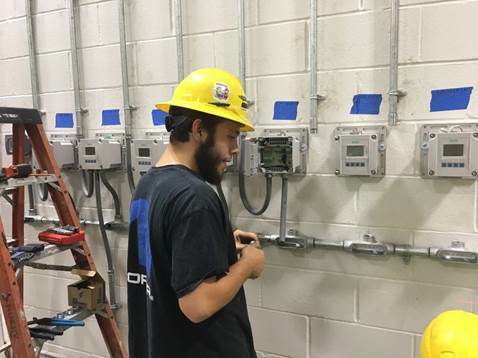 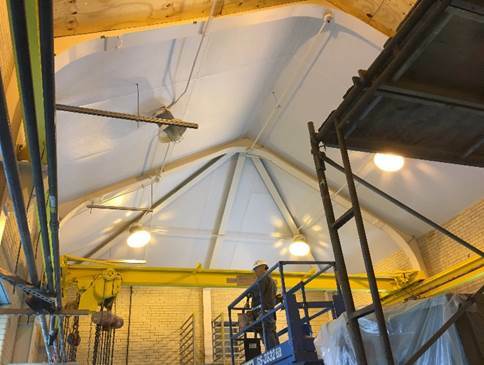 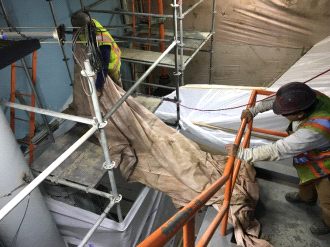 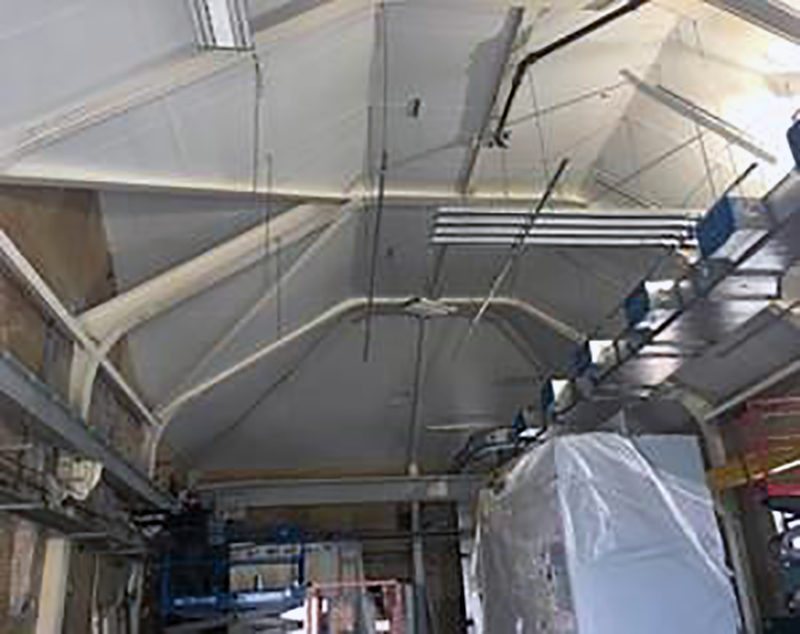 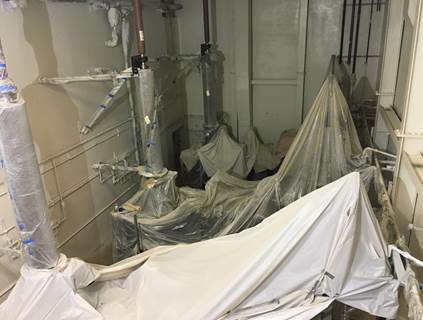 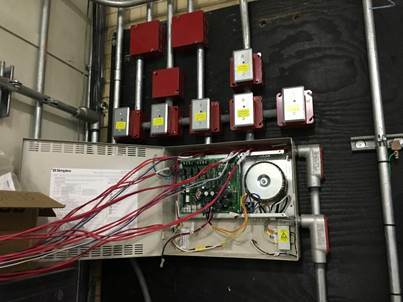 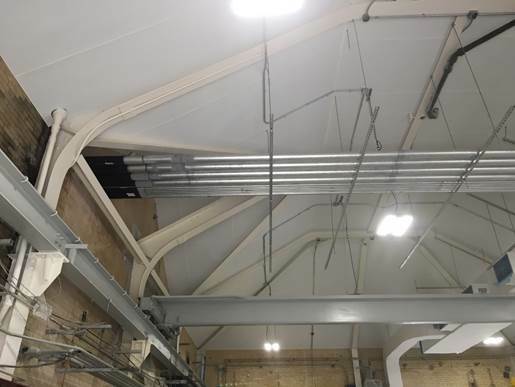 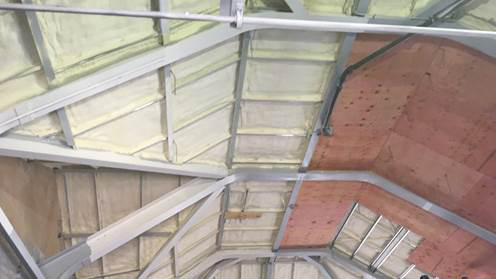 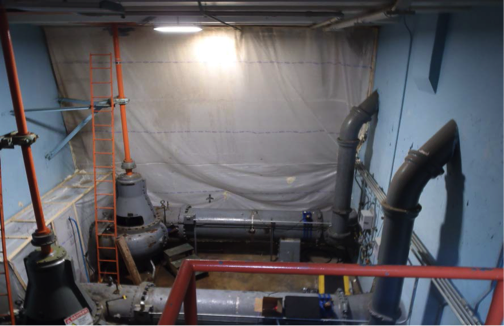 The Alewife Brook Pump station's HVAC systems, paint, roofing and insulation will also be updated and new flow meter will be installed on the Alewife Brook Conduit. 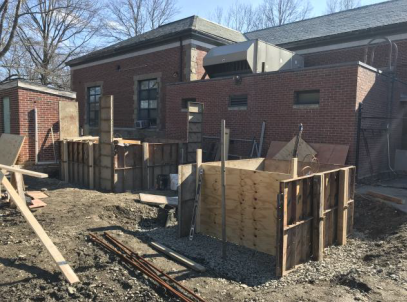 If you have any questions please email Jeff McLaughlin or call (617) 305-5762. 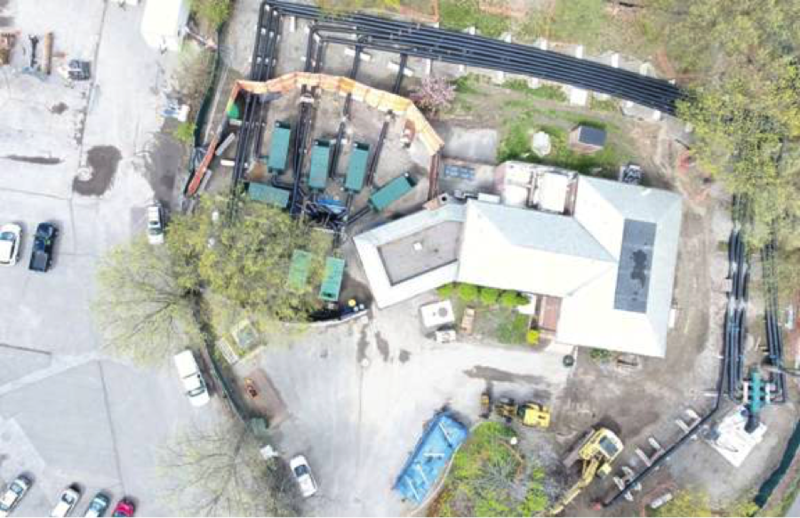 To receive electronic project updates, please register your email address with the MWRA Alerts Service, provided through Everbridge. 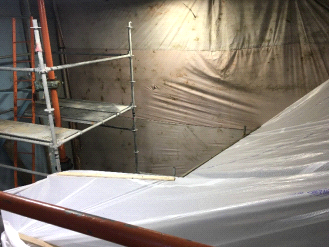 Installed railings at stairs in screen room. 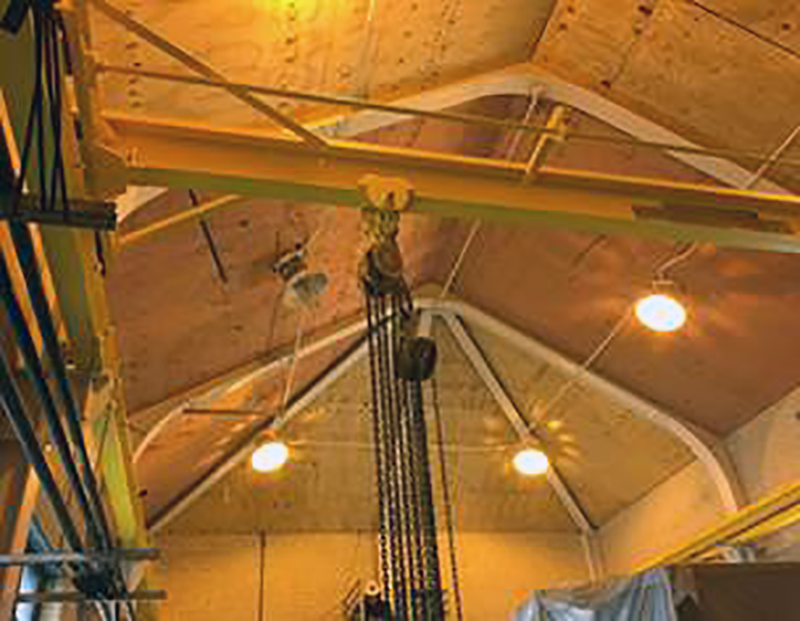 Painted crane in screen room. 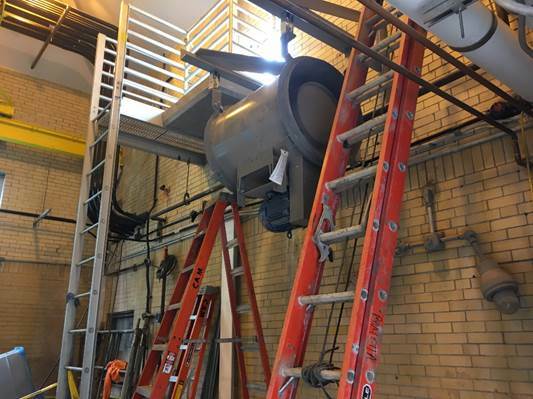 Removed generator from generator room. 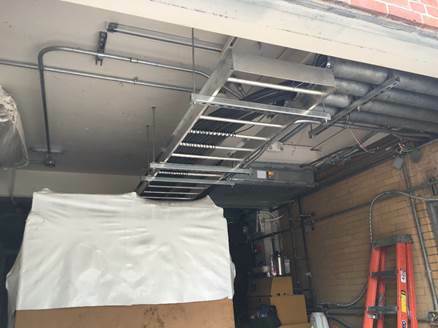 Began installation of the new screens. 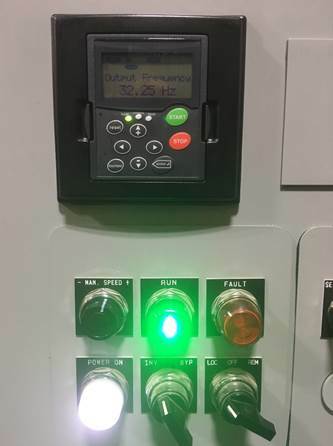 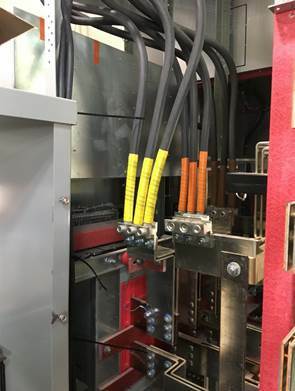 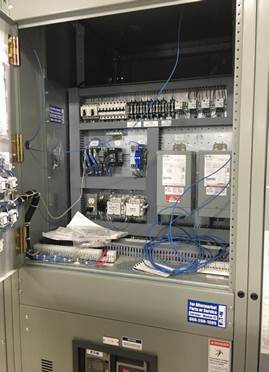 Completed transfer of power to temporary power source. 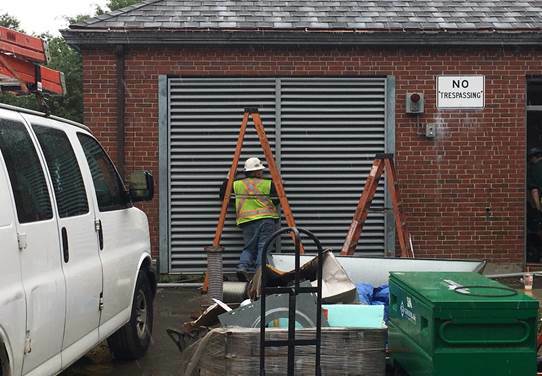 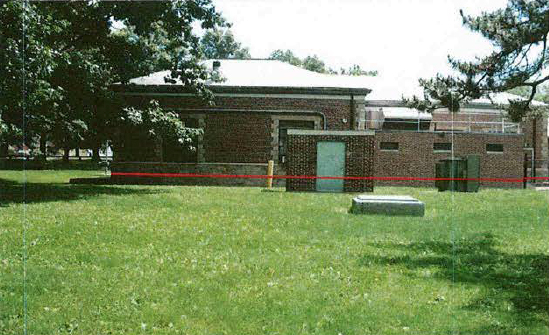 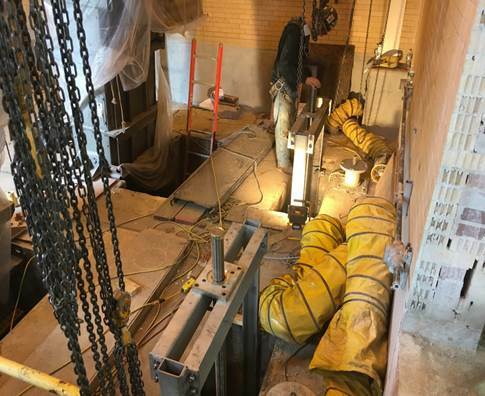 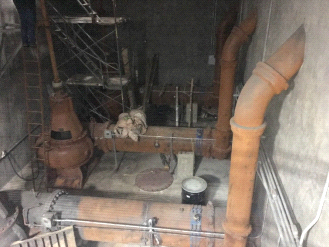 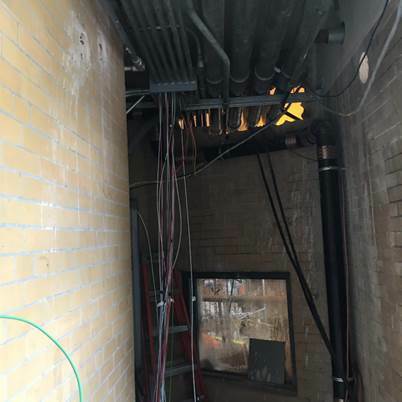 In order to complete new exterior and interior renovations to the Alewife Brook Pumping Station, it is necessary to ‘by-pass’ the pump station for a period of a year. 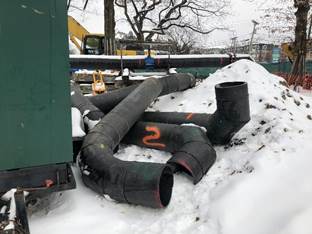 This is accomplished with pumps and piping outside the building to reroute flows while maintaining normal pumping and flow capacity for the residents of Somerville, Cambridge and Arlington. 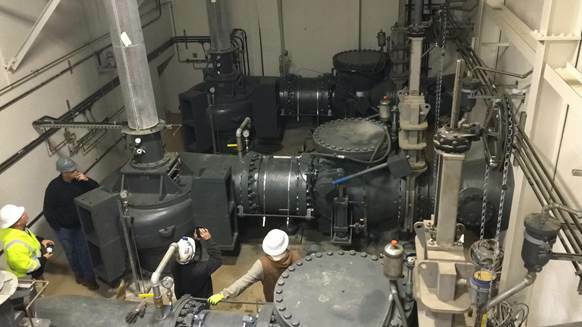 Design, preparation and contingency planning for this process are complete and mobilization of the pumps and installation of the ‘by-pass’ has begun. 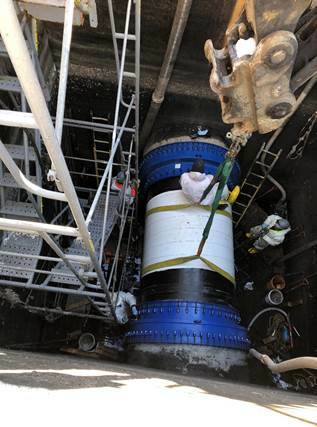 It is currently anticipated that the bypass system will be operation by the end of March 2017. 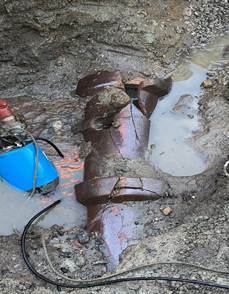 Work began in August, 2016.